Lexapro is a commonly prescribed medication that is known for its numerous side effects and interactions. Lexapro is used to treat the major depressive disorder and severe, persistent anxiety. While medications that treat these conditions are vital, the number of documented Lexapro side effects and drug interactions does make its use concerning. Here are the side effects of Lexapro, as well as drug interactions, that all users should know. What Are The Common Lexapro Side Effects? What Are The Serious Escitalopram Side Effects? What Are The Signs Of Lexapro Allergic Reaction? What Is The Escitalopram Black Box Warning? What Are The Variables That Impact Side Effect Emergence? How To Reduce Lexapro Side Effects? The first thing to know in understanding the side effects is how does Lexapro work. The medication acts on the central nervous system, primarily the brain, to restore the natural balance of serotonin. 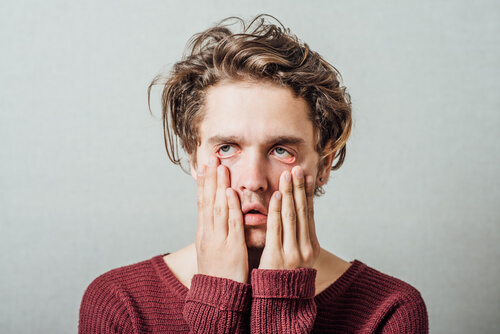 Given that the brain and central nervous system as a whole run the body, it is understandable that the side effects of escitalopram are numerous and wide-ranging. It is important to note that there are less common side effects users can encounter that are not well publicized because they are not considered serious. For example, Lexapro hair loss has been reported by users. Lexapro brain zaps are also noted by patients. Any symptoms that develop after starting use of the drug is potentially a side effect. For users, some of these side effects are more difficult to deal with than the conditions they are attempting to treat. For example, Lexapro weight gain can be significant, and if the user’s depression is fueled by body image issues, escitalopram may not be the right antidepressant for them. Lexapro insomnia may make depressive episodes more severe. In most cases, the doctor will advise the patient to continue with the medication for several weeks, and if the side effects do not lessen, then they will consider switching medications. Serious side effects of Lexapro are relatively rare. However, because they have the potential to be dangerous or long-lasting, they are extremely concerning. Should anyone experience the following serious and/or long-term effects of Lexapro, they should contact a medical professional immediately. All SSRI antidepressants, which includes escitalopram, can increase the risk of bleeding externally and internally. As such, any abdominal pain and Lexapro nausea should be taken seriously. Lexapro also has the potential to cause serotonin syndrome. This can include the sudden onset of Lexapro-caused diarrhea, shivering, confusion, severe muscle tightness, fever, seizures, hallucinations, and even death. Additional severe side effects can be caused by suddenly stopping escitalopram or by taking too much. Lexapro withdrawal symptoms can be deadly. No patient should ever stop the use of the drug without help from a doctor. Medical professionals understand how to wean off Lexapro safely. Patients also should avoid increasing their dosage on their own. Lexapro overdose is possible and can lead to death. Should any of these symptoms present in a patient, they should seek emergency medical attention. Any allergic reaction has the potential to turn deadly in very little time. In addition to allergic reactions, Lexapro drug interactions are highly concerning. These interactions can impact the effectiveness of Lexapro, the effectiveness of the other substances, and intensify serious side effects and allergic reactions. Before taking escitalopram, patients must let their doctor know about all medications, supplements, illegal drugs, and other substances they are using. This includes legal substances. For example, mixing Lexapro with alcohol can be deadly. Escitalopram carries a black box warning. Black box warnings are the most serious type of warning the Food and Drug administration issues for medications. They must be prominently displayed on packaging and promotional materials, as well as on the FDA’s website and the website of the pharmaceutical company that manufactures the drug. Doctors prescribing drugs with black box warnings are required to educate patients on the risks before prescribing the drug. As such, every patient should know about the black box warning before receiving an escitalopram prescription. The escitalopram warning primarily relates to an increased risk of suicide in patients taking the drug. This is unfortunate, given that the drug is meant to treat severe depression. The increased risk of suicide is most significant in children, adolescents, and young adults, as well as those over the age of 65. Doctors are not allowed to prescribe it for children under the age of 12 and with all patients must heavily weigh the risks versus the benefits. They are also required to advise families and caregivers of underaged patients to closely observe the patient. Many of these variables cannot be changed by the doctor or patient, which means that the ability to reduce escitalopram side effects is limited. However, there are some steps to take that can make them more tolerable or eliminate them in certain situations. No matter how severe the side effects are, patients should never stop taking Lexapro on their own. It is vital that the medication is weaned off of in a safe and supervised manner. Anyone who is abusing Lexapro or using it in combination with alcohol or illegal drugs should seek help. 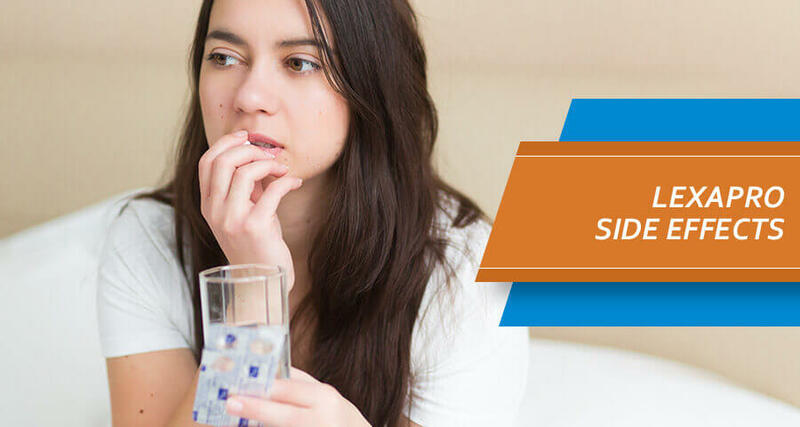 Substance addiction treatment can help the patient get clean and save their life. These facilities are adept at treating both addiction and underlying conditions, such as depression and anxiety. For every patient, the right rehab facilities are out there.